Over 100 years ago there was a Pilot gig called the ‘Lightning’ based here on the river Dart. She was rowed by a hearty crew of strong men who would race out of the river as soon as a homeward bound sailing ship was sighted. There were other gigs too and the first one to get their pilot on board got the job of bringing the ship safely into harbour, so ‘no win, no pay’ was the order of the day – racing in those days was to earn a living. Today there is another ‘Lightning’ on the River. She is a maroon and cream coloured craft, built by Brian and Andy Pomeroy and her purpose is also to race – but nowadays it is purely for pleasure – or maybe we should say ‘sport’ as anyone who finishes a race with their heart and lungs feeling fit to burst and with aches and pains in muscles they never knew they had might not call it pleasurable! Sport was also enjoyed back in the 1830s though and the first regatta programmes record events for 6-oared boarding gigs racing for the fantastic sum of a purse of 20 sovereigns! 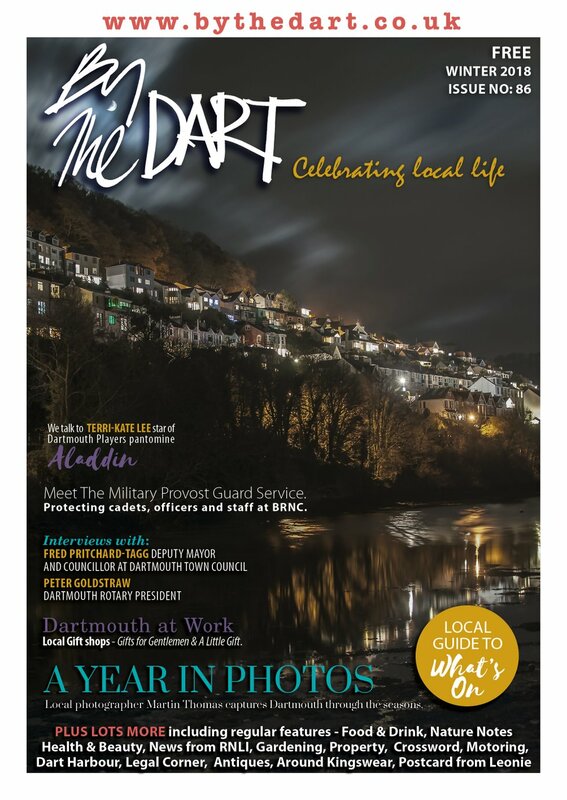 Dart Gig Club was formed in 1996 by a bunch of enthusiastic rowing friends and is affiliated to the Cornish Pilot Gig Association. In order to race these days all gigs have to conform to a standard design – by William Peters of St. Mawes. He built many of the early craft and by 1838 had built his best and fastest the ‘Treffry’ – she was also very strong as she survives today and is still rowed by Newquay Rowing club! These are beautiful boats – sleek and fast (in the right hands) and considered by connoisseurs of rowing to be the ultimate in fixed-seat team rowing. Training takes place all year round at home, with racing at one port or another throughout the West Country, on most weekends from late March to October. We also go a little further afield – to the Isles of Scilly for the World Championships in early May and are hoping to make it to Holland at the beginning of November this year. 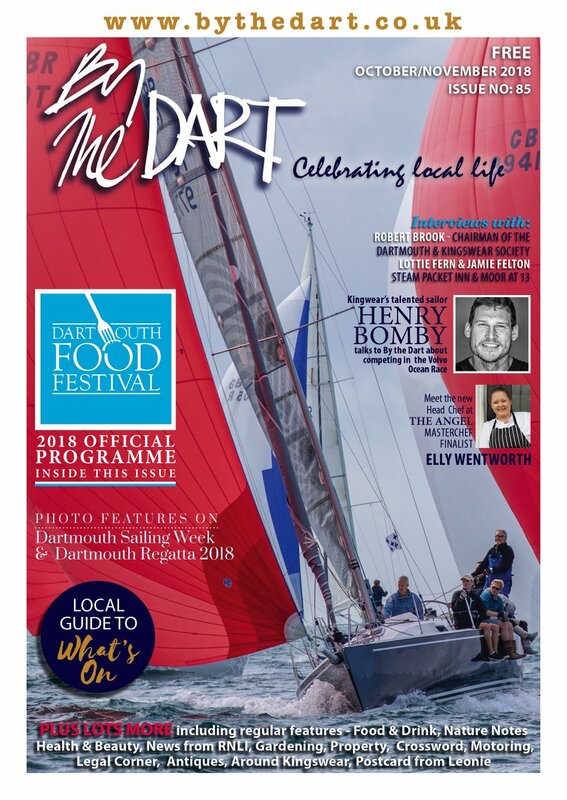 Our own gig regatta here on the Dart is one of the first of the circuit and is generally held on Easter weekend – early enough in the season for the river not to be too full of visiting boats but late enough for the Harbour Master to have put the pontoons out! We invite about 12 other clubs and set a 3000m triangular course from the Higher Ferry, out towards the castles, and finishing in line with the Dartmouth Yacht Club. We are always happy to talk to people who would like to join the Club or maybe just to try a row or two before committing to anything more. We have members of all ages – not many youngsters these days although we have had a thriving junior section in the past who won the Under 14s County Championships in 1999. We’ve had various other successes over the years including wins at the Mixed and Vets at Carbis Bay in 1999, the Mens Vets at the World Championships in 1999, Mixed SuperVets County Championships in 2008 and the Ladies SuperVets County Championships 2009 and 2010. There are more for the taking – so if you fancy joining in just get in touch – Peta Chivers is our current Chairperson on 07968 585594 and she’d be delighted to talk to you. The club has recently had the wonderful news that an anonymous donation is enabling them to buy a new wooden gig. 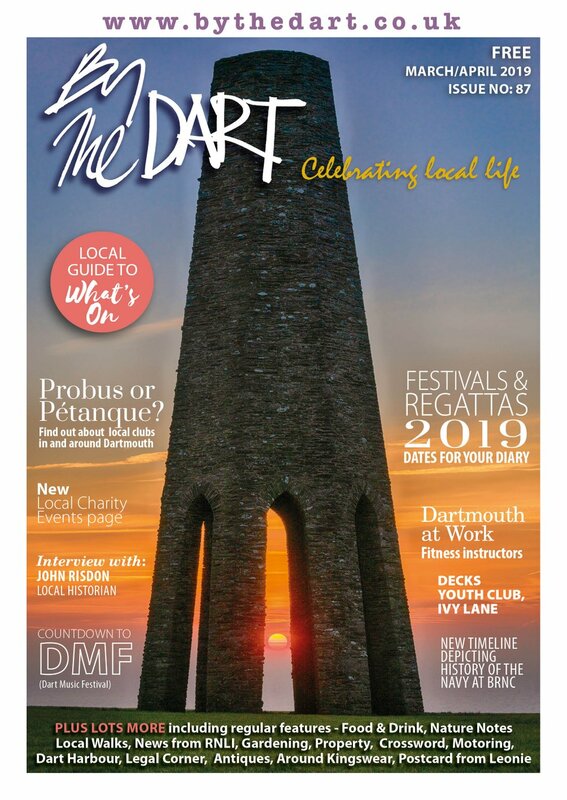 As this goes to press, Brian Pomeroy is ordering the timber and we hope to launch her next Spring - watch this space - By The Dart will be there for the ceremony!